The multi award-winning Aardman Animations are set to bring Shaun the Sheep to Nintendo 3DS, as a partnership previously announced by Nintendo at last comes into fruition. 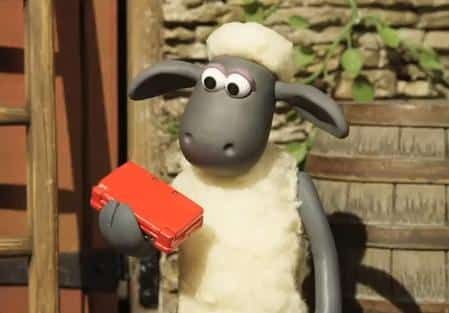 From March 7th, Nintendo 3DS owners will be able to catch fifteen weekly Shaun the Sheep 3D clips, downloadable through SpotPass for the Nintendo Video service entirely for free. You’ll be able to enjoy the farmyard antics of Shaun the Sheep and his flock, including Timmy, Bitzer and the Farmer, with the first episode seeing the group head out for a picnic. Will they be able to have a relaxing day out together, or will the Farmer’s fishing trip make things difficult? “We are proud to be working with Aardman Animations to launch Shaun the Sheep’s first 3D adventures via SpotPass on Nintendo 3DS”, states Laurent Fischer, Managing Director of Marketing and PR for Nintendo of Europe. “Make sure you keep checking Nintendo Video on your Nintendo 3DS for regularly updated content for you to enjoy”. Aardman Animation’s Co-founder and Executive Chairman, David Sproxton, added “As a company we are always looking ahead to the next ‘big thing’, the technological advances that will improve our audience’s experience. We are already working with 3D formats as a studio on our upcoming feature film, but when we first experienced the Nintendo 3DS it’s safe to say all of us were completely blown away. “To be contributing to something as innovative as the Nintendo 3DS from the very outset is an extraordinary experience for us and we’re looking forward to seeing Shaun the Sheep on Nintendo 3DS and working with Nintendo going forwards”.